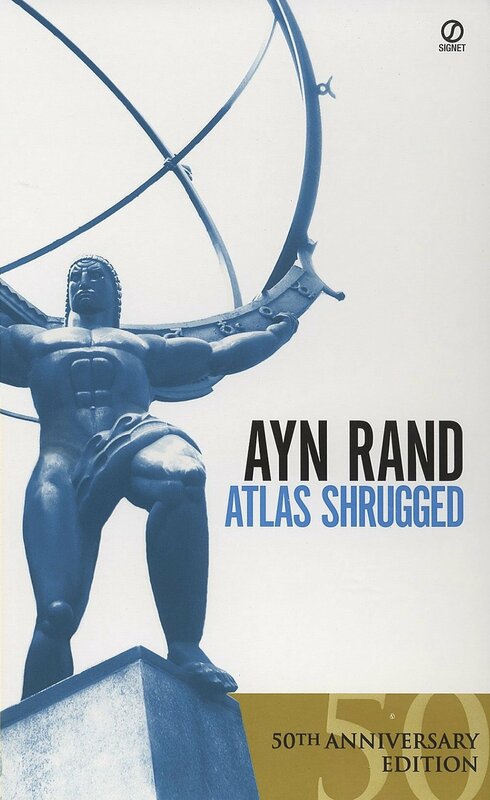 This very highly upheld book by many many people around the world is probably Ayn Rand's best and is an extreme portrayal of a man's egoist nature and how it changes the world for the better. One man recognizes his suffocation in the world that functions around him and decides to do something about it. He realizes that the people at the highest powers are not only without the ability to think or take the world forward but they are actually controlling and forcing the doers to comply to their wishes thus destroying them. He then goes about recognizing and winning over or simply convincing the doers of the world to join him and quit the world as they know it, quit everything they ever lived for until the time when the world simply stops functioning. Once the non-doers are out of the way these men come out of their hiding and begin rebuilding the world as it should be. This man's name is John Galt. The book mostly revolves around Dagny Taggart who is John's 'constant' and is the Vice-chairman of Taggart Transcontinental Railway. Other chief characters are Hank Rearden (who invents a new form of an alloy that is stronger, lighter and cheaper than steel) and Francisco D'Aconia (inheriter of the great D'Aconia copper mines and a genius by birth). The book revolves around how Dagny and Francisco grew up together and were destined to inherit their great buisness's. Francisco however a friend of John's joined his quest and molded his reputation and ultmately destrying his own company taking with him the many bigshots of the nation that had invested in his mines. Dagny dosnt know anything about Francisco's objectives as yet. Hank Rearden was brought down by the non-doers because of their fear of a monopoly of Rearden steel. Dagny however believed in him and bought his steel for her railroad. As John, Francisco and a certain pirate Ragnar Danneskjold went around destroying the world, Dagny and Rearden did everything they could to resist. Then Dagny discovers Atlantis; the place where all the brains that had dissappeared were hiding. There she meets John Galt and beholds the motor he has comeup with that generates electric current from static electricity around us. But she decides she is not yet ready for being one of them. Rearden meanwhile slowly succumbs to the pressures by the non-doers and gives up and joins Galt. In the end Galt gives a 3-hr long speech to the people of the nation on his philosophy about how one is supposed to live on this planet. How the mind is the greatest thing and selfishness the greatest virtue. The non-doers capture him through Dagny and try to torture him into working for them. An encounter follows. John is rescued and the world that has halted is revived and brought to its senses. The concept of the book is that why on earth does Atlas (the man in the figure) continue to painfully carry the world when it is hell bent on destroying him and itself. Let him simply shrug, and let the world crumble. Then when all the non-doers are eliminated; he can set the world right for himself and his kind. 'FOUNTAINHEAD' IS EQUALLY POWERFUL AND INSPIRING..
MY VERDICT-"FOUNTAINHEAD SCORES OVER ATLAS SHRUGGED"